Holloween is around the corner. Are you looking for a Halloween Hairstyle DIY project? Hair stylists and fashionista's that are not scared of putting in a little hard work have several great options. Here are a few Halloween Hairstyles that may be of interest. 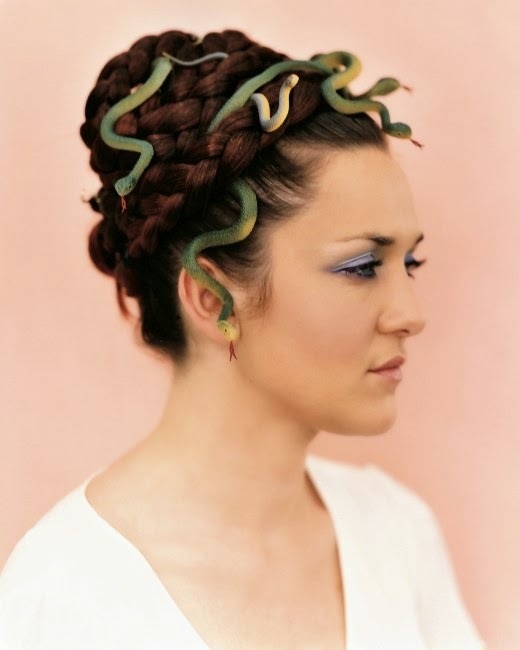 Probably one of the most copied mythical characters on Halloween, creating the Medusa Hair, complete with snakes, can be a lot of fun.